Seven Strange Clues by Margaret Sutton. Illustrated by Pelagie Doane. New York. Grosset & Dunlap. 1932. Hardcover. Very Good with no dust jacket. Edgewear. Previous owner's name blacked out. Red tweed Cover. Judy works out seven baffling clues to solve the mystery of a school fire and a prize poster contest. 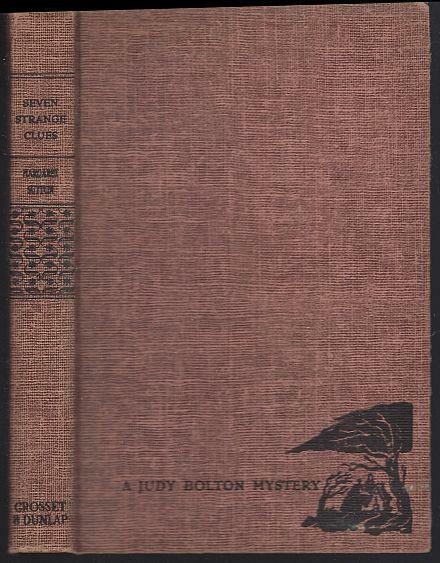 Judy Bolton Mystery 4. 210 pages. Items Similar To "Seven Strange Clues by Margaret Sutton Judy Bolton Mystery #4 Twe..."